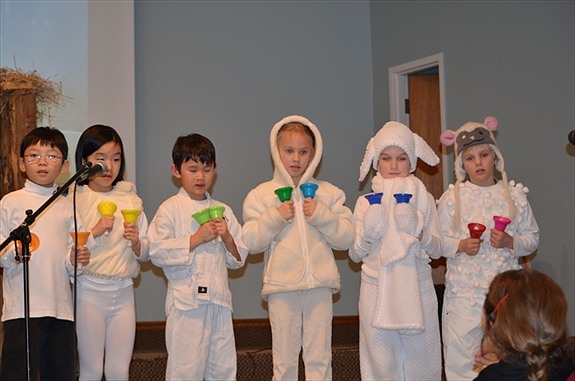 CCA offers a lively, comprehensive music program from Kindergarten through Grade 8. Our program parallels or exceeds the Ontario curriculum for creating and performing music, responding to music and understanding various forms of music in their cultural contexts. Students expand their understanding and appreciation for music both vocally and instrumentally. They are encouraged to develop individually and as a class. Musical repertoire includes a variety of Christian, classical and secular material. Best of all, each class begins with prayer to acknowledge our amazing Creator God who has given us this wonderful gift of music and the ability to learn it! Kindergarten to Grade 2 build a foundation of rhythmic notation and written music through bucket drumming, hand bells and rhythm instruments. Students explore a variety of choral action songs and how making music together can be fun! Grades 3 and 4 learn through adventures with the recorder and ukulele. 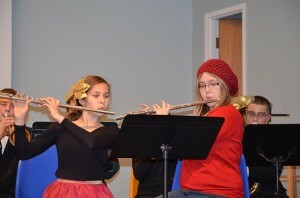 They continue to develop musical literacy and creativity. 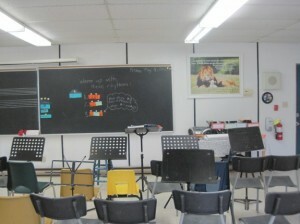 These grades also have a mentoring music class bi-weekly where they learn collaboratively with an older class. 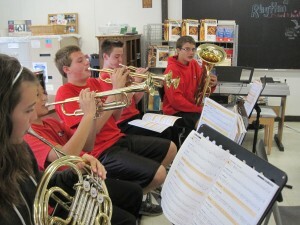 Grades 5 to 8 focus on instrumental music. Students choose a brass, woodwind or percussion instrument through which they further develop accuracy in note reading, rhythm and collaborative musicianship skills. Students work on both solo pieces tailored to the level of challenge they are ready for, as well as class pieces. Instruments are either rented from the school at a reasonable cost or provided by student families. Parents may also register their child for private music lessons during or after regular school time. Instruction is offered for acoustic guitar, piano, voice, percussion and the common band woodwind or brass instruments.